Kitchen appliances are a great way to add the final touches to any remodeling project, meaning it’s important that you know which appliances will be the best in the long run for your home. Nowadays, a variety of essential appliances are available for your kitchen in countless styles, including stainless steel, classic black, and traditional white. Additionally, many appliances can be personalized to the needs of your household and daily lifestyle, which allows your kitchen to have the functionality and beauty that you’ve always desired! At Signature Kitchen & Bath, if you choose to purchase new appliances as part of your kitchen remodel, our design team is happy to recommend certain appliances and styles especially for you. To get you started, we’ve created a list of four must-have kitchen appliances to look out for as you finalize your kitchen design. Having issues with fridge space? A built-in wine cooler is the perfect solution to this pain point that many homeowners experience every day. With this must-have appliance, you can select from a variety of storage sizes and eliminate any space constraints! 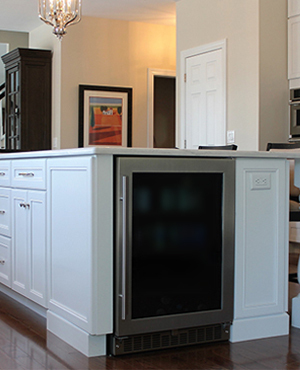 A built-in wine cooler is also small, making it easy to install in a concealed area of your kitchen. If you find yourself constantly using your kitchen to cook when you’re at home, a double wall oven is an essential appliance for you! With a double wall oven you can heat up two dishes simultaneously, making cooking less time consuming. This appliance is also usually installed in any available cabinet space, which can make your kitchen lay out feel more spacious and accessible. 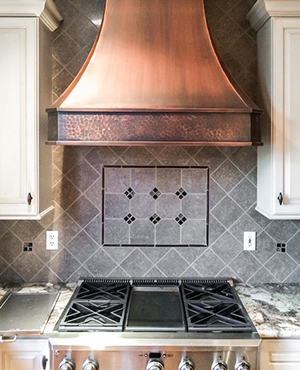 You probably haven't considered installing a range hood in your home, but it's actually be a worthwhile addition. These appliances rid your kitchen of any harmful odors or gases that can pose a hazard to your home's air quality. 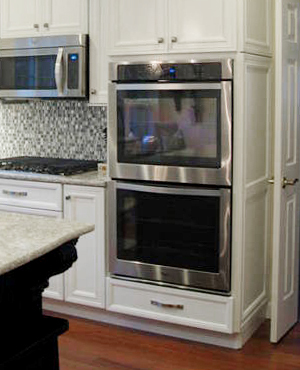 To top things off, range hoods include their own lighting, illuminating your kitchen even more as you cook or clean. An electric cooktop is one of the latest kitchen appliances to get and it's a great choice for your kitchen! What sets this appliance apart from traditional cooktops is that the burners are under the cooktop, making it much easier for you to operate and clean. With less visible burners, the electric cooktop also looks very subtle and blends in well with any kitchen. Signature Kitchen & Bath works with Construction Appliance Supply, a supplier of leading brand names in kitchen appliances such as Bosch, GE, Electrolux, Jenn-Air, Whirlpool and many more. Contact us today to schedule a free design consultation!